A maternal health clinic in Mayange, Rwanda. Back in the 1990s, the Nobel-prize winning economist Amartya Sen famously wrote that “no famine has ever taken place in a functioning democracy”, coining an argument has shaped thinking across countless sectors – and none more so than healthcare. If governments face open criticism and are under pressure to win elections, we assume, they are incentivised to improve the health of their populations. Dictators are not. But does that theory hold water in Africa? Ghana, one of the continent’s deepest democracies, is doing well. According to Gallup data, 75 percent of its population consider its elections to be honest, compared to a median of 41 percent over 19 sub-Saharan countries. Correspondingly, it was also one of the first countries in Africa to enact universal health coverage laws. In 2003, roughly a decade after entering a multi-party democratic system, the west African country hiked VAT by 2.5 percent to fund a national health insurance programme. Voters who had been overstretched by the previous “˜cash-and-carry’ system happily swallowed the tax increases, and the scheme was so popular that when the government unexpectedly changed in 2008, it survived the transition. The country still has a way to go to attain universal coverage. According to the National Health Insurance Authority, by the end of 2010 34 percent of the Ghanaian population actively subscribed to the scheme. But the institutions are now in place, laying the foundations for the future. Similar schemes are being rolled out in other democracies like South Africa. But this isn’t a simple equation. There are plenty more multi-party systems which have failed to enact meaningful reform – think of the pitiful performance in Kenya, where the government changed earlier this year – while some more autocratic regimes are performing well. “Several of the countries that are seen as the big success stories in public health are not very democratic,” argued Peter Berman, a health economist at the Harvard School of Public Health. Take Rwanda. Led by Paul-Kagame’s decidedly authoritarian Rwandan Patriotic Front, the country is considered “not free” by Freedom House. In the run up to 2010 presidential elections Human Rights Watch alleged political repression and intimidation of opposition party members against the leadership. Yet the government has a strong developmental track record. “Rwanda started out with somebody who is autocratic, but who genuinely wants to see these indicators change,” Grépin said. 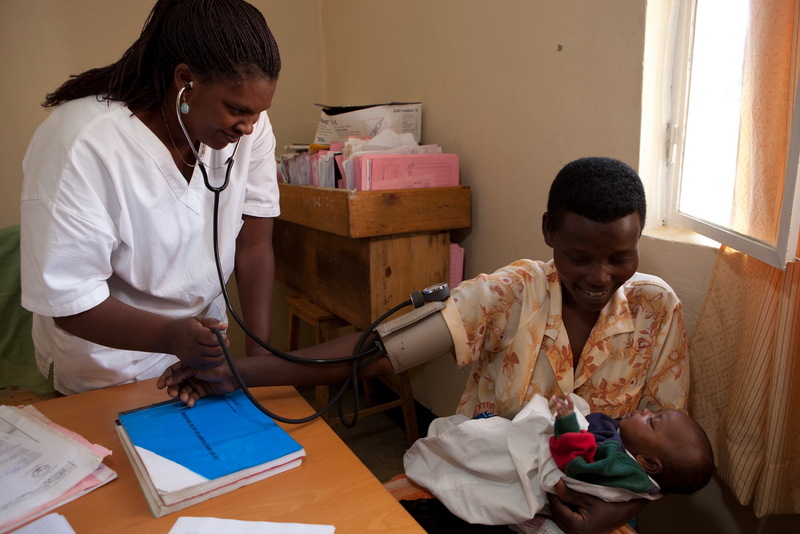 Over the last decade, Rwanda has registered some of the world’s steepest healthcare improvements. After the 1994 genocide – when national health facilities were destroyed and disease was running rampant – life expectancy stood at 30 years. Today, citizens live to an average of almost double that. Deaths from HIV, tuberculosis and malaria have each dropped by roughly 80 percent over the last 10 years, while maternal and child mortality rates have fallen by around 60 percent. Part of its success stems from the fact that its healthcare services reach rural citizens. The leadership hands responsibility to local government and authorities and holds them accountable for their efficiency; and almost 50,000 community health workers have been trained to deploy services to marginal populations. Like Ghana, Rwanda runs a universal health insurance scheme, though it has fared better in its roll out. Upwards of 90 percent of the population is covered by the community-based Mutuelles de Santé programme, which has more than halved average annual out-of-pocket health spending. “By decreasing the impact of catastrophic expenditure for health care we increase the access,” explained Agnes Binagwaho, minister of health, from her Kigali office. In the reception, thirty-year-old Margaret Yamuragiye, a slender sociology student who has been diagnosed with malaria, waits patiently for her prescription. “Before I got my Mutuelles card I would fear that I could not go to the clinic because it would be too expensive. Today if I have simple cough or flu, I come to the doctor, I don’t wait to see if it gets worse,” she said. Nearby in Ethiopia, another autocratic regime registered by Freedom House as “not free” is also clocking significant health improvements. Like Rwanda, leaders in Addis Ababa have little time for political opposition, but are registering impressive developmental gains. “They’re not very democratic but they have the power and authority to allocate resources towards population health needs,” Harvard’s Berman said. There’s no universal coverage scheme in Ethiopia, but government has opted to focus on deploying basic healthcare services across hard-to-reach rural areas. Starting from a pitifully low base, it has spent a decade training a network of around 40,000 extension workers to bring care to rural communities. Over ten years, the nation registered a more than 25 percent decline in HIV prevalence, according to a 2012 progress report. Under-five mortality has declined to 101 deaths per 1,000 live births in 2009/10, from 167 in 2001/2. Infant mortality halved in the same period. Those examples should be evidence enough that the relationship between democracy and improved healthcare isn’t a simple one. “There are autocratic governments that care about the people and there are autocratic governments who don’t. There are democracies where politicians respond to a broad public demand, and then there are democracies where the politicians respond to narrower interest groups,” Berman said. Eleanor Whitehead is senior reporter with This is Africa. Zoe Flood is the publication’s Nairobi-based contributor. To be sure, democracy is not necessarily a panacea and can bring with it serious consequences. Authoritarian nations have grown faster than their democratic peers. We must rethink the boundless optimism about the benefits of democracy—optimism so common in Western policy makers’ speeches and among protesters fighting authoritarian regimes. Autocrats sometimes are able to make hard political choices that might generate protest in democracy—such as China’s decision to invest hundreds of billions of dollars in clean energy projects, which in a democracy might have been fought mercilessly by older energy industries and their lobbyists. But it is important to distinguish between the short-term effects of democratization in the developing world, which can be destabilizing as compared with some types of autocracy, and the longer term effects of democratization, which ultimately can create the kind of stability that countries in the second and third waves of global democratization have enjoyed.